LATEST HOT ITEMS FOR SALE!!! Collector’s Cups & Balls Sets now available. 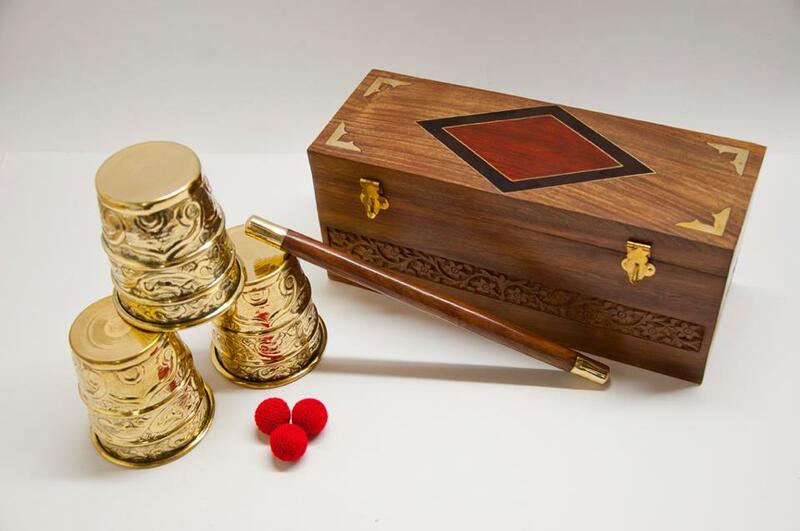 Beautiful Set of embossed Cups and Balls, complete with wand and Collector’s Box. Available now at $130.00 for the set, shipping/handling included. To buy, contact me using the button on the left and we’ll set up a Paypal transaction. I have used these cups and they are good size and weight. Each cup weight: 5 3/4-oz. Mouth opening is 3-inches, cups are 3 5/8-in. tall and across top is 2 1/4-in.